New townhouses could be built north of the Island Cove Park on Florida Road. The Durango Planning Commission approved a subdivision for the proposed townhouses Monday. 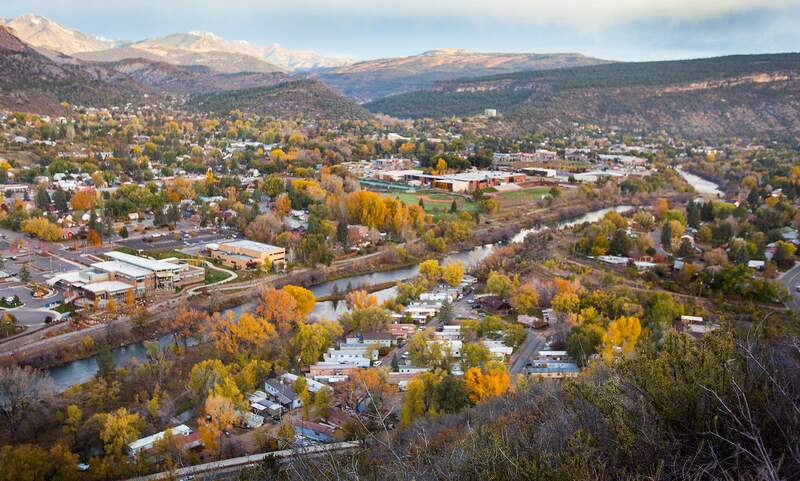 Durango City Council will review the planning commission’s decision later this month. A proposal to build three townhomes north of Island Cove Park in Durango raised concerns about the park’s future Monday at a Planning Commission meeting. In particular, residents and neighbors seemed concerned that the owner of the park, Dan Smith, is planning to redevelop the mobile home park at 485 Florida Road. “It was represented to us, by Dan, that he had no intention to do anything for the park for years ... and now we are seeing things shift,” said Jim Fuge, a resident of Island Cove. Cynthia Roebuck, who represented the owner, answered direct questions from the commission about plans for the park. “As far as I know, there are no active plans for redevelopment,” she said. But it’s possible redevelopment could happen at some point, she said. Island Cove would not be adversely impacted by the new townhouse project, Roebuck said. “We wouldn’t want to do anything up there that would cause a problem with the property down below,” she said. The proposed townhomes would be north of the park and accessed by a road behind Christ the King Lutheran Church and off of Riverview Drive. The commission unanimously approved a new subdivision that would separate the property where the townhomes could be built and granted it medium-density residential zoning, which allows up to 11.9 units per acre. But Roebuck told the council no more than three townhouses are planned. “We have no intention of maximizing density,” she said. The commission also unanimously approved a change to the density of housing allowed in the park depicted on the future land-use map. The map showed several densities, but it is all zoned high-density residential and already allows 24 units per acre to be built on the site, so the commission approved the correction to the map. “This is really an attempt to clean up the zoning,” Roebuck said. The park could have been redeveloped to the 24-units-per-acre standard before the map changes, Planner Savannah Jameson said. Changes to the future land-use map and the subdivision will go before the Durango City Council later this month. Some neighbors took issue with the idea of three townhomes that would be accessed by a shared driveway. “We’re talking about 30 trips a day in and out of that very narrow lane,” Carl Watson said. The commission didn’t take up specific questions about traffic at the site but it made clear it supports infill development. “Infill is our new normal in the city,” said Commissioner Elsa Jagniecki. mshinn@durangoherald.comA previous version of this story misspelled Elsa Jagniecki’s last name.